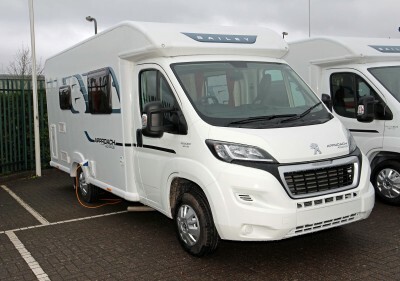 Bailey of Bristol has introduced a new range of motorhomes, Bailey Approach Advance, designed with the newcomer in mind. There are four models in the range, all coach-built, from two comfy, cosy two-berth models to a family layout sleeping six people. Bailey introduced its first motorhomes in 2011 using its proven and unique to Bailey Alu-Tech timber free body construction and rocked the market with its well-equipped Approach range, bringing the great outdoors leisure and pleasure to a wider audience in an affordable way, yet taking design cues from its successful touring caravan ranges. The new Approach Advance is certainly part of the extended Bailey family, although the design has evolved over that three-year time scale and all meet the stringent Grade III classification Thermal insulation for EN1646-1 as verified in cold chamber testing. It is built on the lightweight and low-line AL-KO AMC chassis; this has a low centre of gravity, thus provides a balanced weight distribution, gives an escalated payload available to the end-user, and has a wider track suspension, improved road holding and being low-line gives easy access to the habitation area. All models will come in within the all-important 3500 kgs weight. 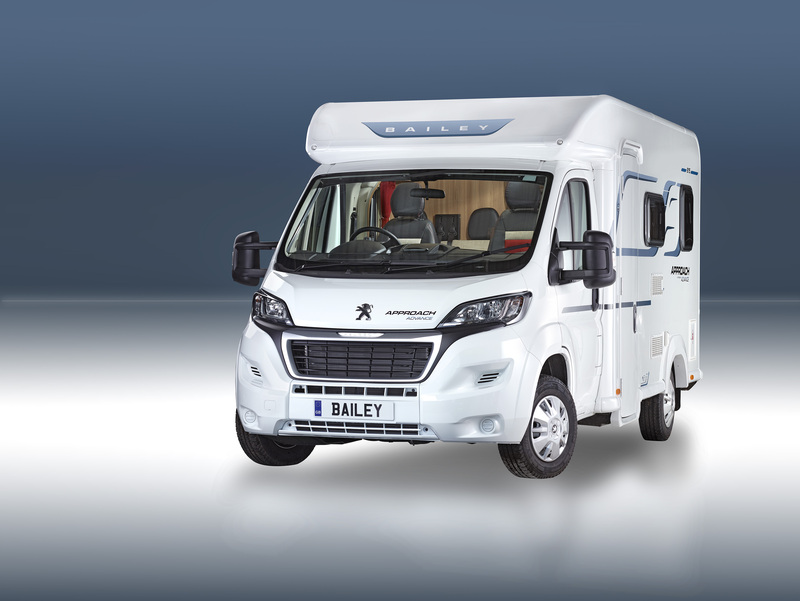 Bailey has again decided to offer a single cab, based on the new Peugeot Boxer cab. A 2.2 Hdi engine with 130bhp, a six-speed manual gearbox sits under the bonnet; cab air-conditioning was seen in the prototype model. All models are fitted with the correct number of seatbelts for all passengers as standard, dedicated table storage, fittings, e.g. kitchens, bolted to the floor and wind-down spare wheel carriers with proper tyres, none of those foam repair cans here! The cab looks sleek, enhanced by the Bianco White colour and all models are built using the patented Alu-Tec body shell with a white highly durable GRP outer skin. Body shape is defined with a curved rear end, in the style of the Bailey Pursuit caravan range, which is aerodynamically sound and gives a rounded and soft appearance. Michelin premium tyres are fitted as standard. 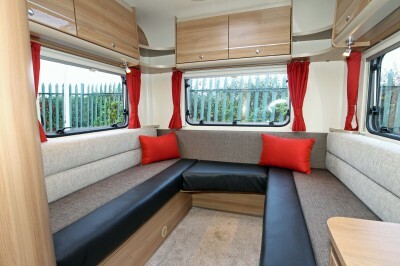 Interiors are modern, with a single upholstery scheme, and bedding sets as an optional extra. All kitchens feature a three-burner gas hob and a combi oven with a grill. Wiring and sockets are in place for an optional extra 800W microwave oven albeit at the loss of a kitchen cupboard and the Compact 615 has a 80 litre Dometic fridge, whilst all others have a Dometic 103 litre fridge. Interior fresh and and exterior waste water tanks are fitted each with 90 litre capacity. 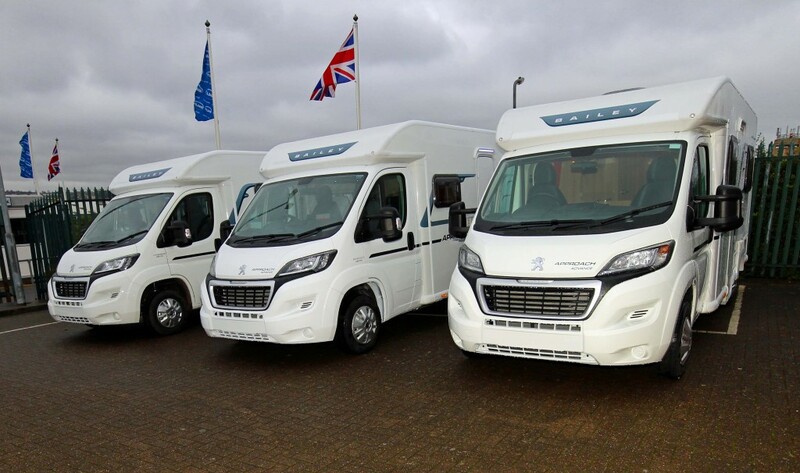 These new entry-level, coach-built motorhomes contain some of same features as Bailey’s top of the range Autograph range. 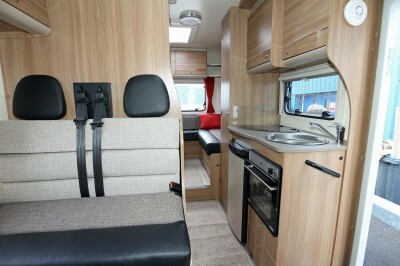 They also have the same Mendip Ash cabinetry as the company’s top of the range Unicorn III touring caravans. 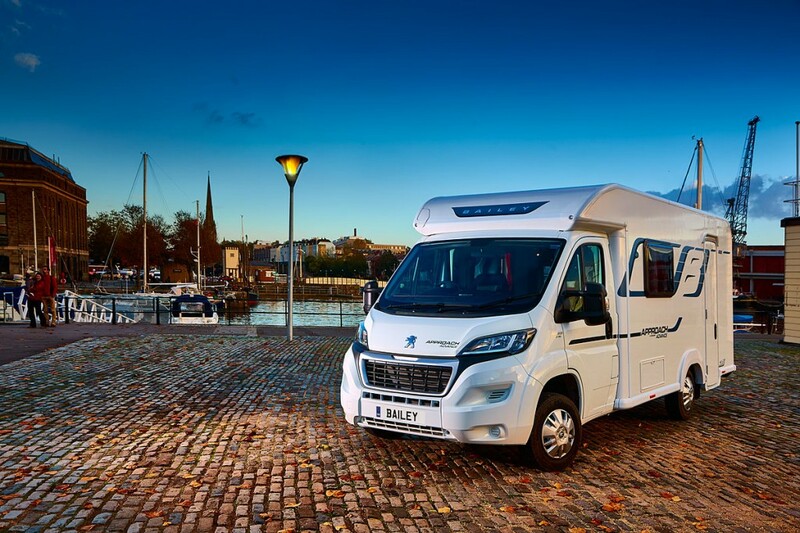 As for price and value for money – what you see is what you get – it’s a practical, well-equipped and specified range of motorhomes at the price of a new 4×4 vehicle. All models benefit from a default factory fit Premium Pack option which is available for an additional £1,199 (RRP incl VAT at 20%). 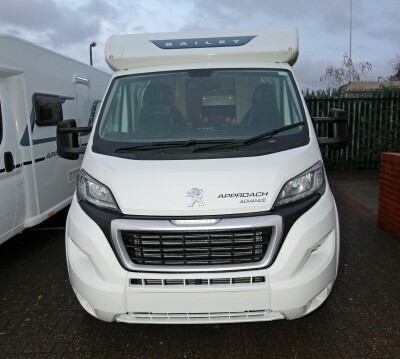 The Approach Advance range will be on show to the public for the first time at The Caravan & Motorhome Show (15 – 18 January 2015) at Manchester’s EventCity. Click here for your chance to win tickets to the show. 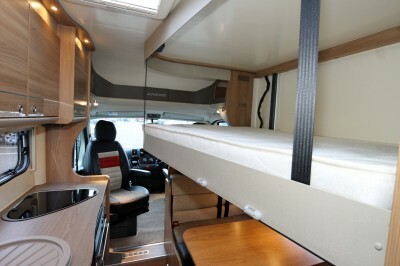 Full review of the Bailey Approach Advance 665 6 berth! 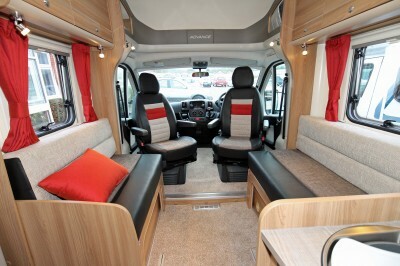 What do you make of the the 2015 Bailey Approach Advance motorhome? Has Bailey hit the mark? Scroll down to share your view. A gas fire is important to me as I am often without electric hook up. Bailey are not on their own in not providing one. The reason being, I assume is cost but surely the needs of the user is paramount. Only Bailey would put leather or plastic on seats that convert to beds. Do they not know that both materials are very uncomfortable ot sleep on. I have seen a new model of the Bailey Advance(the one with the transverse island bed) and was shocked to see the shower cubicle with a CURTAIN, how retrograde is that. I have an Approach and will not be buying a new Bailey until they sort out the shower cubicle! Thanks for your comment. 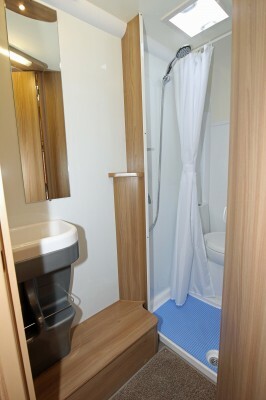 Regarding the shower cubicle – it’s probably just one way Bailey have kept prices so low for this model. The Advance has certainly been pitched as an entry level model below the other existing and previous Approach models. The sub £40,000 starting prices may be key to some buyers. We purchased a 2014 Bailey 740 this year and have went to France in September for 6 weeks and enjoyed the change from the previously owned caravan, however we found that the fresh water fill system is next to useless because you have to rely on the whale hose attachment provided which is attached to a cold water tap in order to fill the tank and enough pressure has to be available at the tap to allow it’s usage. Normally motorhomes have a filler which you can fill using a watering can or similar container. What we had to do because to top-up our tank was to go inside the motorhome a lift the carpet to gain access to the tank hatch and tip water into the tank with a can. Most of the taps on the sites we stayed in have a slow push type low pressure tap without a screw thread required for the connection hose provided and the pressure would be to low to operate the whale fill pump. I have been in contact with Bailey and explained the problem suggesting they provide with every Motorhome a separate whale pump which could be placed into a container outside the unit (as you would do in a caravan and aquarol) to enable a fill without having to lift carpets ect. When we bought the motorhome we did not expect to have to use an aquarol type fill to top up, defeats the object of having a motorhome. Has anyone else had this problem and have they reported it to bailey? Having bought a motorhome with the Whale system and found the same problem of filling from a standpipe I have to use a separate container and pump only to be told recently I could have specified non Whale system and filled up using a watering can as I have done in the past. Good value, but as said, they are within the ” entry level” range and even in the photos this shows ( shower curtain for example). More important is the difference between these and the European models as far as styling is concerned. British makes are well made, but do need to look abroad for design and styling. 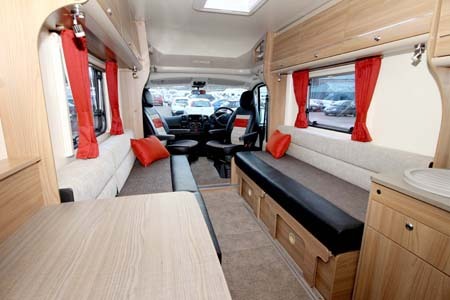 I would much prefer to buy British, but have now ordered my third motorhome, unfortunately from our European friends! Usual Bailey caravan style and certainly looks entry level. Seat trim colour and material dreadful, where do they get their designers from? Bailey seem to be popular with the so called magazine experts but I find them bland and pretty boring having looked at several. Not a Bailey fan.